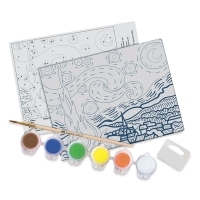 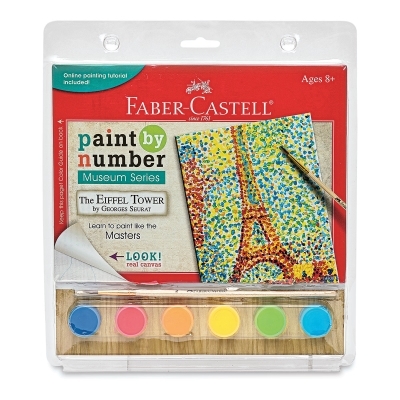 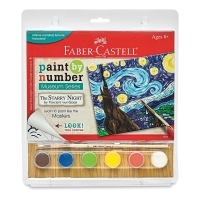 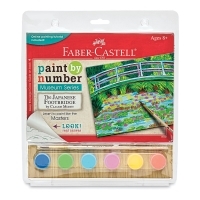 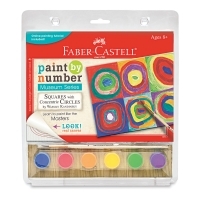 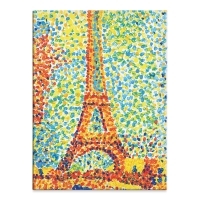 Recreate famous masterpieces by popular artists with Faber-Castell Paint By Number Museum Series kits. 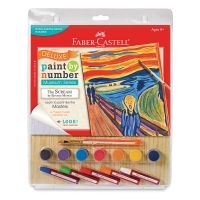 They include everything you need to paint expert replicas in an approachable way. 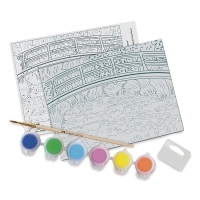 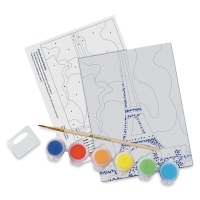 Follow along with illustrated instructions as you paint your way to a completed work of art. 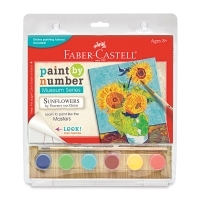 The kits also include access to an online tutorial to learn techniques used by the masters. 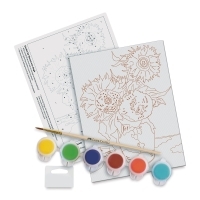 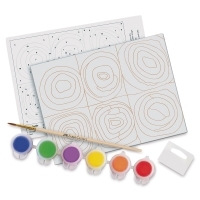 Each kit includes a 6" × 8" canvas, pop-up easel, paintbrush, six acrylic paint colors, and a hang tab to display your completed artwork. 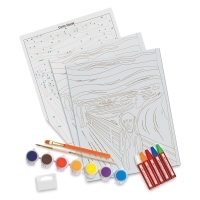 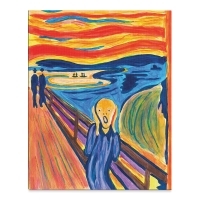 Deluxe Paint by Number Kit — Paint a replica of "The Scream" by Edvard Munch. This kit includes the above items, plus an extra acrylic paint color, five Faber-Castell Oil Pastels, and another paintbrush.